Conference VoIP phone systems connected to the cloud brings innovation and collaboration to your business culture. Being able to respond ad-hoc and connect with the right people no matter if they are local, in another state or overseas means an agile and responsive workplace. And through cloud communications participants can join from any device and file share immediately. Fixtel has business conference telephones and equipment to ensure you're always in touch with your staff, clients, partners and suppliers. Our range of business and conference phones includes VoIP systems, traditional conference phones, audio equipment, video conference equipment. Supplied from all the leading brands including Avaya, ClearOne, Panasonic and Polycom. New technology allows each conference phone to intelligently adapt to different room environments, this way everyone can hear and be heard, even when more than one person talks at a time. You'll eliminate confusion, enhance productivity and save thousands of dollars in travel costs by being able to actively conduct meetings and presentations in your own location. Using the correct conference telephone will allow you to have conversations with multiple people in different locations around the globe. Board meetings, demonstrations and training can all be made easier by using the world's best-selling conference phones and communications tools. Call us on 1300 349 835 or contact us online to speak to a Fixtel Customer Solutions Adviser today about business conference phone solutions. The most important factor for conference phones is sound quality. Poor audio will cause confusion and make meetings less productive. Fixtel supplies the best conference phones on the market. We are industry leaders in telephone solutions for business and are partners to the world leaders in business phone manufacturers like Avaya and Polycom. The best conference phones have crystal clear sound and easy use design built in. We can connect satellite speakers to larger rooms to extend the audio range for each phone system. The right setup will make meetings collaborative and engage the audience. This includes having audio visual equipment connected to the cloud for shared applications and file sharing across any location and audience. Having a conference VoIP system connected via the cloud means a better ROI through more productive and intelligent business practices. Innovation thrives in a collaborative workplace. Make your business culture thrive through responsive technology and unified communication systems. Audio visual combined with audio conferencing provides an agile working environment in which your business can respond and collaborate quickly plus effectively. Conference meetings can be conducted spontaneously to make businesses responsive and always moving forward. The best benefit of conference calls is saving time and money on travel. Connecting with people no matter their location brings excellent productivity to any business. Making sure no time is wasted on call drop outs and poor sound quality maximises time. That's why it's important to get advice on the best conference call system for your business from our team. Fixtel can install audio visual solutions and set up a conference system built into the room. This installed system works by signal processing an works well in larger rooms like training rooms and boardrooms as it will cut out issues like feedback, echo’s and loudspeaker zones. Integrated with audio visual equipment the space will be perfect for productive training and meetings. Selecting the right conference phone makes a big difference to the quality and productivity of workplaces. 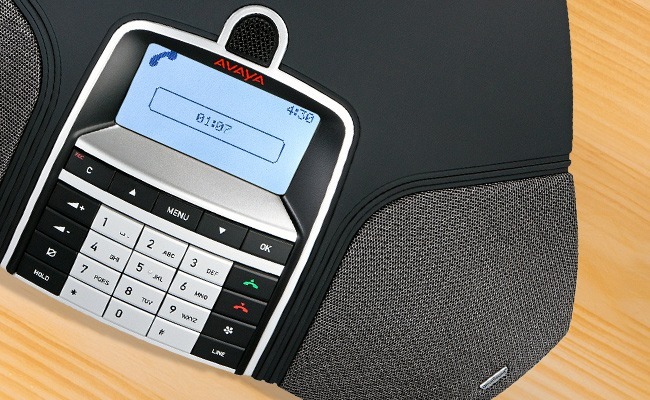 Nearly all conference phones now come with VoIP and wireless capabilities. In using an IP phone system your conference calls will have crystal clear sound via the internet. Conference phone installation with wireless speakerphones makes for easy sound and acoustics plus a modern conference room design. For a small conference room of four to six people a more traditional conference phone can be installed. As conference phones designed for smaller spaces cover around five to seven feet. A traditional conference room usually is set up for six to twelve people, and makes acoustics and sound more difficult. If set up incorrectly conference calls will suffer from echos and noise difficulties with people not close to the microphones. We can set up and install audio solutions for medium range coverage. Boardrooms often have poor acoustics due to the design being based around interior looks rather than acoustics. Fixtel can suggest and install audio and visual boardroom setups including the best VoIP conference phone system to work in this space. Contact our team to discuss your business needs. Business communication technology is always advancing and by tailoring your communication solutions your business will improve productivity and the quality of decision making. Unified communication solutions like conference VoIP systems are our speciality. We supply, install and manage systems for all size businesses.